What is the Difference between Consolidation and Compaction of Foundation Soil? At first we will define both terms consolidation and compaction of soil. Consolidation is a process in which saturated soil is compressed due to steady and static pressure. Compaction is a process in which with the help of mechanical pressing air present in void of soil is expelled resulting closely packed soil structure. Compacted soil has better shear strength and hence better bearing capacity and stability of soil. Both terms are very important in foundation engineering. 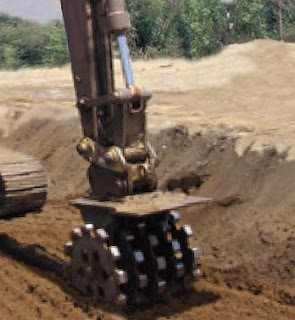 a. Compaction reduces volume of soil by rapid mechanical methods like tamping, rolling and vibration; whereas consolidation process reduces volume gradually by static, sustained loading. b. Compaction decreases volume by expelling air from partially saturated or dry soil; whereas consolidation process reduces volume by squeezing out water from saturated soil. In compaction process water content is not altered. 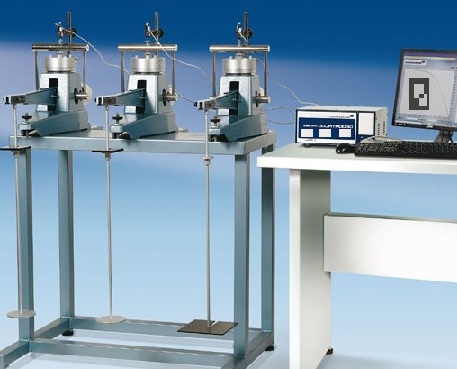 c. Compaction is a human generated pressing method to produce high unit weight of soil. Thus increasing other properties to have better founding soil. In contrast, consolidation is natural process where volume of saturated soil mass reduced by static loads from the weight of building or other structures that is transferred to soil through a foundation system. I would love to purchase this compaction wheel if this is with discount. Will just use this as spare in case, since my other wheels too old now. Thanks for sharing this post! In compaction we increase/decrease moisture content to reach close to optimum moisture content so as to attain maximum dry density possible. But here in point 'b' you have mentioned that "In compaction process water content is not altered" so how is this possible.